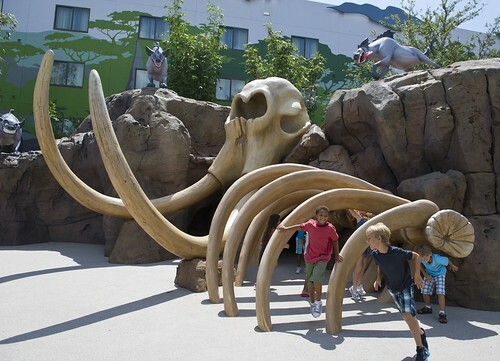 Today Walt Disney World officially opened the third of four wings at Disney’s Art of Animation Resort, themed to “The Lion King.” This wing follows the “Cars” and “Finding Nemo” wings that opened earlier this year, with the final section of the new hotel dedicated to “The Little Mermaid” scheduled to open next month. 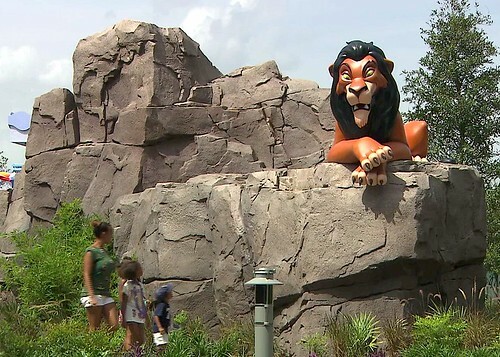 The Pride Lands of Africa is the setting for The Lion King wing of Disney’s Art of Animation Resort. It’s the only wing at the hotel that does not have its own pool, instead swapping an abundance of colorful characters with a handful of those most memorable from the classic animated film. Featuring landscapes and theming inspired by scenes from the Academy Award-winning movie, this third phase of the resort places guests into African terrains, surrounded by vibrant trees and interesting scenery. King Mufasa stands high atop Pride Rock while his evil brother Scar lurks just beyond the elephant graveyard. Scar’s hyenas also “guard” the play area. 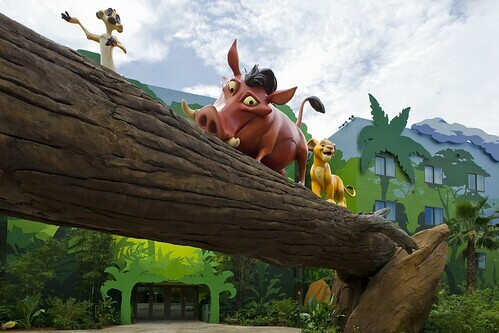 Pumbaa and Timon playfully cross a giant log bridge with young Simba in “hakuna matata” fashion, allowing guests to pass underneath when entering and exiting the wing’s buildings. 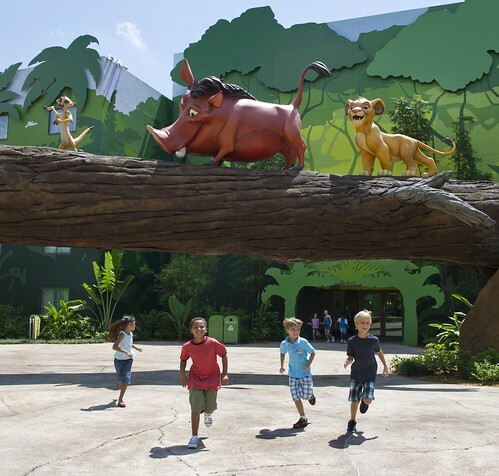 Like the “Finding Nemo” and “Cars” wings of Disney’s Art of Animation Resort, “The Lion King” wing exclusively features family suites – 320 of them. 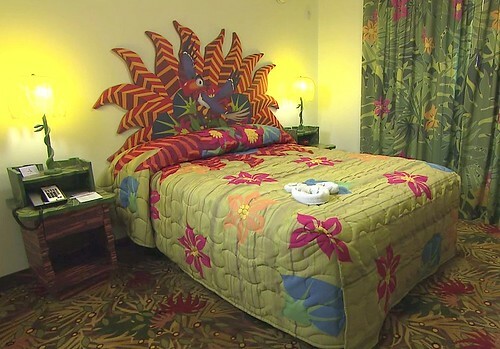 Decor in each room is inspired by the more playful side of the film, with brightly-colored representations of upbeat scenes. 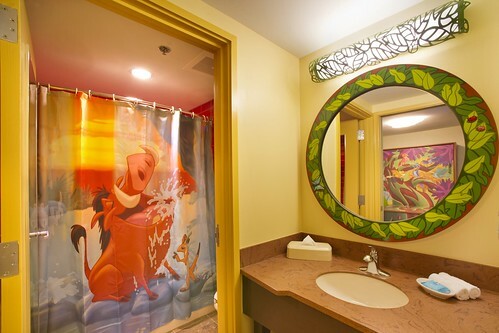 Zazu is featured on the headboards while Pumbaa and Timon decorate the shower curtain. Furniture includes a leaf-shaped chair and a table that folds down into bed, with each room sleeping up to 6 comfortably. 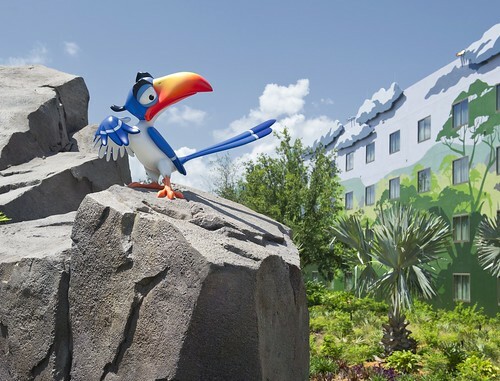 Three wings of Disney’s Art of Animation Resort are now open and available for nightly stays. When the final wing of Walt Disney World’s newest hotel opens on September 15, 2012, based on “The Little Mermaid”, it will move away from family suites, adding 864 standard rooms, each sleeping up to four. 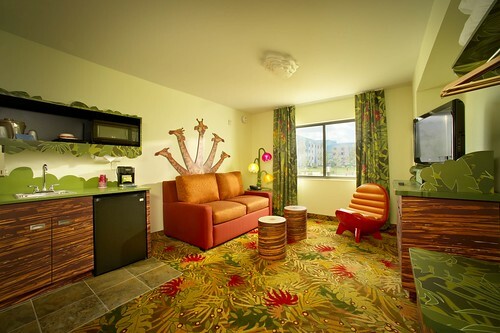 Normally i adore Disney design…but these rooms are REALLY busy and hard on the eyes due to all the bright colors and patterns. I think it would have been better to tone it down just a bit, especially since most people use the majority of the time in their rooms to try and sleep. Just my humble opinion. To be honest, it would give me headache! Its too busy, too many colours, patterns that all clash. Its a shame they couldn’t have had plain carpets to soothe it down a little. The outside looks great though – shame about the rooms. Wake when the Art of Animation resort opens a Fantasia, Pinocchio, Bambi, or Three Caballeros wing. 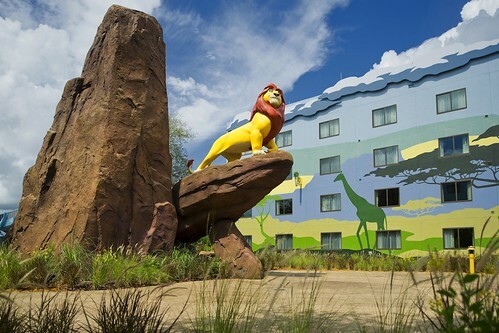 My daughters and I stayed in the The Lion King suite for 11 nights and we loved it! The design an decorations had us feeling we were part of The Lion King ourselves. My youngest really enjoyed the atmosphere. Thank You!